Beat Cop puts you in command of a shamed NYPD detective. 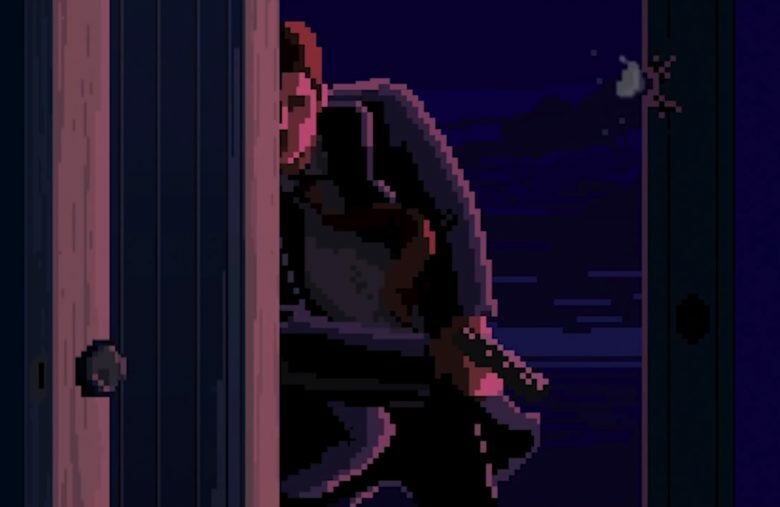 If you hanker after the point-and-click adventure games of the 1990s (think Full Throttle), you’ll find plenty to like about Pixel Crow and 11bit Studio’s Beat Cop — which just brought its pixellated stylings to iOS. Inspired by 80s cop shows like Miami Vice, the game puts you in control of an NYPD beat cop in 1986-era New York City. Your character has been busted down from detective after getting in over his head in a previous job. As a result, he’s stuck writing tickets and busting minor hoods, until he can redeem himself. Check out the stylish trailer below. Beat Cop first arrived on PC a couple years back to mixed critical reviews, although more positive audience scores. The game is definitely visually attractive in a kind of scuzzy 1980s pixel art kind of way. There’s also something weirdly hypnotic about a game that actually requires you to do the busywork associated with being a cop. As with Papers, Please, the passport-stamping game which pretty much perfected iOS busywork titles, while you’re doing these tasks you’ll get caught up in a variety of moral quandaries. There’s additionally a bigger story at work, so it’s worth sticking with. One thing worth emphasizing about Beat Cop is that, in its attempts to nail the world portrayed, there’s plenty of casual sexism, racism and corruption thrown in. The game makers are clearly making a point with this, rather than playing it for laughs, but gamers should be aware of this before they dive in. Beat Cop is available to download now from the App Store. It costs $4.99, but has no other in-app purchases. Have you played Beat Cop before? Did you enjoy the experience? Let us know your thoughts in the comments below.